Over the past three decades, the victim movement worldwide has agitated for an enhanced role for victims in the criminal justice system. In this book Heather Strang argues that, despite some progress towards that goal, structural as well as political factors may mean that victims have won as much as they are likely to gain from conventional justice processing. She asks whether restorative justice can offer them more justice than they receive from the formal court-based system. 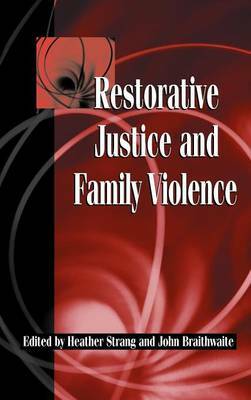 Drawing on a five-year study of the impact of a restorative justice programme on victims of both property and violent crime, Strang presents empirical evidence to show that the restorative alternative of conferencing more often than court-based solutions has the capacity to satisfy victims' expectations of achieving a meaningful role in the way their cases are dealt with as well as delivering restoration, especially emotional restoration, from the harm they have suffered. 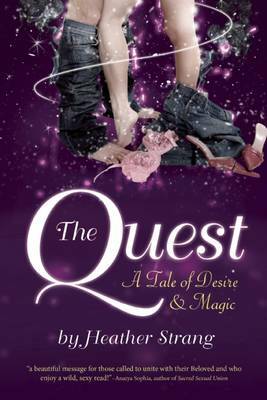 This book addresses the role of victims in our criminal justice system and the shortcomings they perceive in the way they are treated. 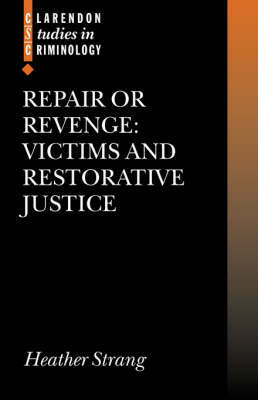 It examines whether restorative justice can offer them more justice than they receive from the formal court-based system. Research into the shortcomings of the court-based system has identified a number of issues that victims want to address. In brief, they want a less formal process where their views count, more information about both the processing and the outcome of their case, a greater opportunity for participation in the way their case is dealt with, fairer and more respectful treatment, and emotional as well as material restoration as an outcome. Over the past three decades, the victim movement worldwide has agitated for an enhanced role for victims in criminal justice. Despite some successes, it appears that structural as well as political factors may mean that victims have won as much as they are likely to gain from formal justice. A series of randomized controlled trials in Canberra, known as the Reintegrative Shaming Experiments (RISE), has provided an opportunity to compare rigorously the impact on victims of court-based justice with a restorative justice program known as conferencing. In these experiments, middle-range property and violent offences committed by young offenders were assigned either to court (as they would normally have been treated) or to a conference. 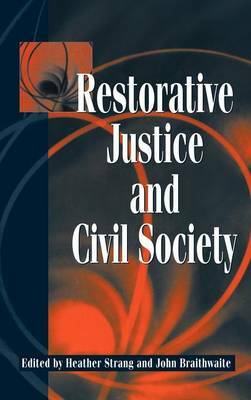 Empirical evidence from RISE examined in this book suggests that the restorative alternative of conferencing more often than court has the capacity to give victims what they say they want in achieving meaningful victim participation and restoration, especially emotional restoration. Buy Repair or Revenge by Heather Strang from Australia's Online Independent Bookstore, Boomerang Books. Dr Heather Strang is Director of the Centre for Restorative Justice and a Fellow at the Research School of Social Sciences, Australian National University.